McALLEN — San Juan police currently have two officers facing federal charges. The most recent arrest came last week when federal authorities detained officer Salvador Hernandez and charged him with possession with intent to distribute more than 500 grams of cocaine, and conspiracy to possess with intent to distribute more than 500 grams of cocaine, according to court records. Chief Juan Gonzalez in a prepared statement announced Hernandez was suspended without pay pending the outcome of the criminal investigation into him. A K-9 officer was used that determined possible narcotics located within the discovered bundles, the complaint reads. The next morning agents with the Drug Enforcement Administration visited the police station to retrieve the 37 bundles but a thorough investigation revealed that the duffel bags retrieved from the vehicle and moved by Hernandez, contained 40 bundles of cocaine at the time Hernandez took possession of the bags, the complaint. Hernandez, who made his initial appearance in federal court last Friday, was released from custody Wednesday after a detention hearing was held, according to a U.S. Marshals official. A call placed to Hernandez’s attorney Alejandro Guerra went unreturned as of press time. The arrest comes weeks after his fellow officer, Richard Leon Castillo, was charged with lying to federal agents in connection with Hernandez’s case. Last month Castillo, a more than three-year vet of the departments, was arrested and charged with lying to federal agents in connection with Hernandez’s drug conspiracy case. Castillo paid a $30,000 bond and was released from federal custody on April 19, court records show. He remains on release pending a new court date. The duo are the most recent officers from the San Juan police department to come under criminal investigation. 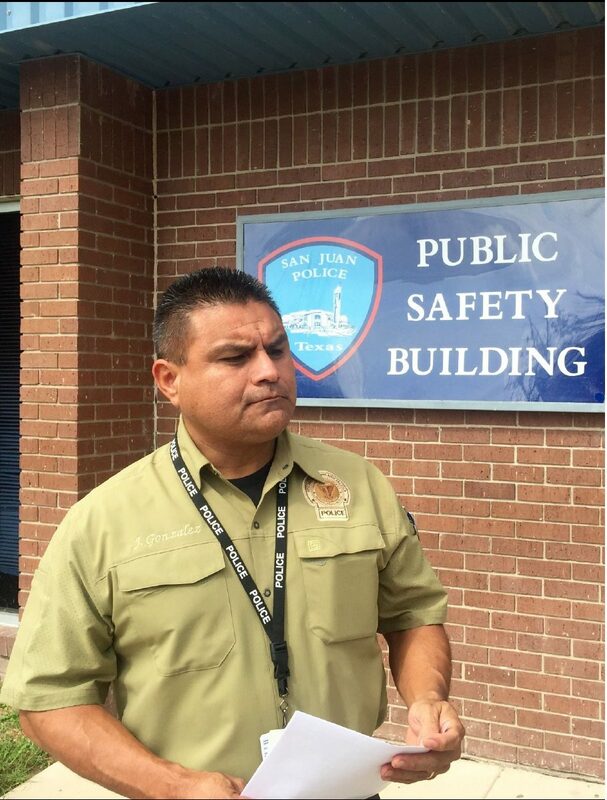 In late 2015, the department suspended and terminated officer Juan Galindo after footage was leaked to local TV station KGBT of Galindo appearing to knee a suspect in the groin after he had been restrained. Ultimately, last summer a third-party examiner ruled that Galindo acted with “reasonable conformity,” during the incident and was reinstated with the department.